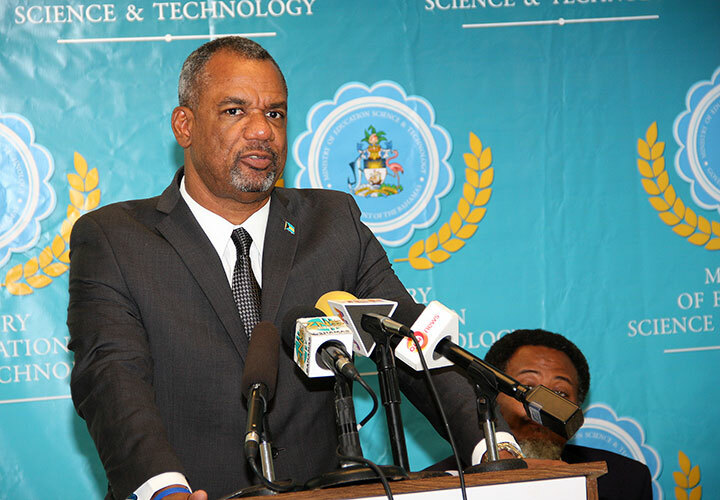 NASSAU, The Bahamas – The Ministry of Education, Science and Technology is moving to regularize home schooling institutions, in an effort to ensure that all children are properly educated in the country. The Minister, the Hon. Jerome Fitzgerald said the move is “to facilitate and not frustrate,” as there are more than 100 families in the country who are home schooling their children. 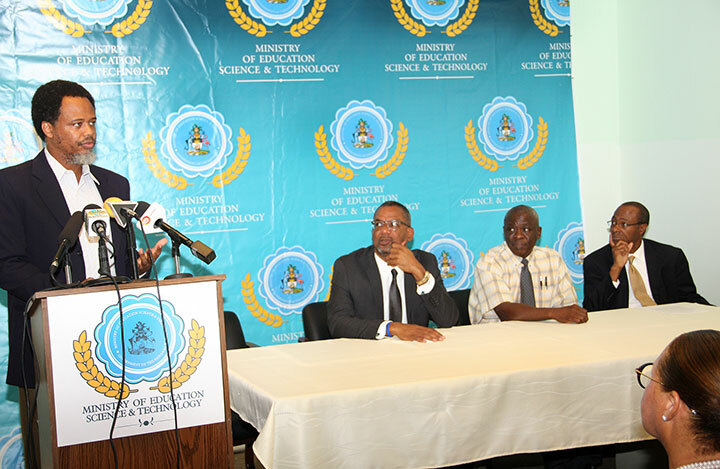 He made the remarks during a press conference on Thursday, August 11, 2016 in the Ministry of Education conference room on Thompson Boulevard. Also present were Director of Education Lionel Sands, Deputy Director Marcellus Taylor, and Director of the Bahamas Home School Association Pastor Cedric Moss and some of the association’s members. Home schooling has been on the rise in The Bahamas over the last decade and though aware of it, the Ministry is seeking to ensure that the movement is not compromising the value of education for children. A main objective is to create a partnership and to support and strengthen the local home school community and The Bahamas Home School Association. “Let me make it clear that this exercise is not being done in an attempt to close down any facility; and we encourage persons who are operating small schools to follow due process to become registered with the Ministry of Education, Science and Technology. “There are a number of reasons why the registration of home schools is necessary; most notably, to ensure that the children are not disadvantaged in the process,” Mr Fitzgerald said. According to the Education Act, it is the duty of the Minister to ensure that all students of compulsory ages 5-16 receive an education. “For most of our country’s education history, traditional schools have been the norm and as such, the Ministry of Education has been involved in the curriculum used within these schools,” the Minister said. However, with the emergence of home schools, he said there is a multiplicity of curricula being used by individuals who home-school children and that the Ministry wants to ensure that the curricula and instruction meet the standards of the Ministry of Education. “Over the years, we have gathered sufficient information regarding home schooling in The Bahamas to know that there is a misunderstanding of what home schooling is and isn’t,” the Minister said. A Home School is a private home in which a parent or legal guardian assumes responsibility for the education instruction of his/her child or ward. A Home School Student is a child of compulsory school age, who is ordinarily a resident in The Bahamas and receives scholastic instruction principally in the home environment under the supervision of a parent practitioner. A Home School Parent Practitioner is a parent or legal guardian, at least 21 years old, who assumes direct responsibility for the tuition and supervision of the instruction of his/her child principally in the home environment. “We are aware that there were many entities that operate as home schools but in actuality should be registered as schools. As long as most of the instruction takes place outside of their home and the instruction is not administered primarily by a parent -- that does not constitute home-schooling,” the Minister said. Some of the benefits of registering with the Ministry of Education include compliance with Ministry of Education’s policies, certificate and identification card, access to national examinations and National High School Diploma, access to information to support curriculum, and scholarships. Additionally, an email address has been established for persons who have questions, require assistance or need additional information.